Growth and progress often require experiencing discomfort, even pain. This is true of both physical and emotional growth. Often the things that grow people are pretty horrendous, and naturally people usually try to avoid them. There are exceptions, however. For example, a lot of people PAY a personal trainer to push the person to work out so hard that it hurts, during the work out and the next day. Of course, they do this for the long-term benefit (unless they’re just masochists). There is even an intellectual equivalent, where people PAY to have someone teach them difficult concepts that require serious mental effort to learn and understand, which along the way often involves mental exhaustion and discomfort. Again, people do this for the sake of the long-term results. In short, the “Red Pill” needs a better ad campaign. Yes, the “red pill” (or, in Not A Party‘s case, the “blood orange pill”, needs better marketing. And Larken Rose is leading the way. He’s actually doing a whole lot more than just continually assuring statists with the above one-liner. He’s organising and running a series of two day workshops called Candles in the Dark. “Candles in the Dark” is a two-day event designed to teach voluntaryists/anarchists how to be far more effective in talking to their statist friends, co-workers, family members, etc., using techniques that, by taking into account the quirks and complexities of human psychology, give a far better chance of getting others to understand and accept the concepts of self-ownership, non-aggression, and a stateless society, and a far better chance of helping others to escape their own authoritarian indoctrination. 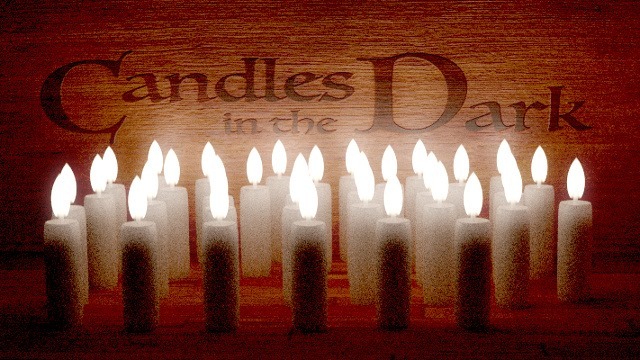 The first Candles in the Dark Seminar is in Phoenix, Arizona on the weekend of 6-7 May. You can register here. Larken Rose is the biggest voluntaryist activist out there, but of course he needs money to live and make it his full-time job to spread the word, so please consider registering to go along if there’s a seminar near you. Or buy his book, The Most Dangerous Superstition.